Thanks, Alex, for starting this group and keeping it going. And thanks to this month's awesome hosts: Tyrean Martinson, Tara Tyler, Raimey Gallant, and Beverly Stowe McClure! Back to school time? Home Alone? Are we back to normal? Hah! After two months of sharing our home with Son, Daughter-in-Law, Toddler Girl, a Great Dane, and a yellow Lab, our house is ours alone again. The summer flew as I discovered chasing after a two-year-old exhausts me. Don’t get me wrong. I loved every minute of their extended visit. Okay, maybe not the barking or whining. And maybe not Toddler Girl exhibiting the definition of “Terrible Twos.” Watching TG’s vocabulary increase and her sentences grow longer has been a real treat. Best of all were the hugs and kisses at night and the cuddles as we watched “Daniel Tiger’s Neighborhood” and Finding Dory. I was amazed at her attention span. We only had to take two breaks. The downside. They moved into their new home. It took them all of last week to get their place ready so they could leave ours. I’m sure I’ll keep finding items left behind, besides a lot of dog hair. The upside is their new home is only two miles away. So now all of my family is close by. Daughter and her family are twenty minutes away. The grandkiddies can visit often, and we can visit them. Now I have no excuse not to write. Rather than stress out over the upset routine for the summer, I accepted the fact that I wouldn’t write much. I kept up with my blogging obligations (except my Monday Morning Musing) and considered that good. Then the leader of a group newsletter I participate with thought up a “wonderful” promo to increase our readership—an anthology of short stories that we’d offer free. Surely, we all have short stories lying around. Wrong. I don’t write short. My stories run 80-100k words. And don’t call me Shirley. (I couldn’t resist.) I had one story that was about 3,000 words. Not long enough. So last month I had to write a 15k short story, in my spare time between babysitting TG. Hahaha. Mornings (my best time to write) were spent keeping her out of trouble, playing, reading, etc. By the time she went down for a nap, I followed the advice given to new mothers—when Baby sleeps, you sleep. I took naps almost every day. I surprised myself by finishing a 14k word short story on August 31st. I even polished up the 3k Christmas story and added that to the anthology. Goals are great. Peer pressure works better. LOL We have a cover and the book will go up on Instafreebie shortly. What a deal. A free book just for signing up for our newsletter. Besides amazing myself that I could write 14,000 words in 31 days, I discovered I could write during chaos. It’s always fun to learn something new about the writing process. Shutting out our surroundings, concentrating on what’s in our imagination, and putting what’s there on paper or a computer screen is an accomplishment. Some people use noise-canceling headphones. Or listen to music to drown out the noise of everyday life. Whatever works. I also learned to write during my least optimal time—evening. The optional question this month is Have you ever surprised yourself with your writing? I’ve already answered most of the question. My most memorable surprise was while writing Switched Resolution (book 3 of my Switched series). As I wrote a reunion scene, I cried. When I reread it as part of the final proofread, I got choked up. While reading the story again (months later) before submitting it for the print edition, I cried again. That I could elicit that kind of emotion from myself amazed me. I hope the readers experienced that, too. I hope you have a great September. That you meet your goals. See you back here in October. Speaking of anthologies . 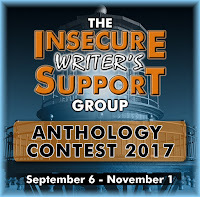 . . Do you know about the IWSG anthology contest? 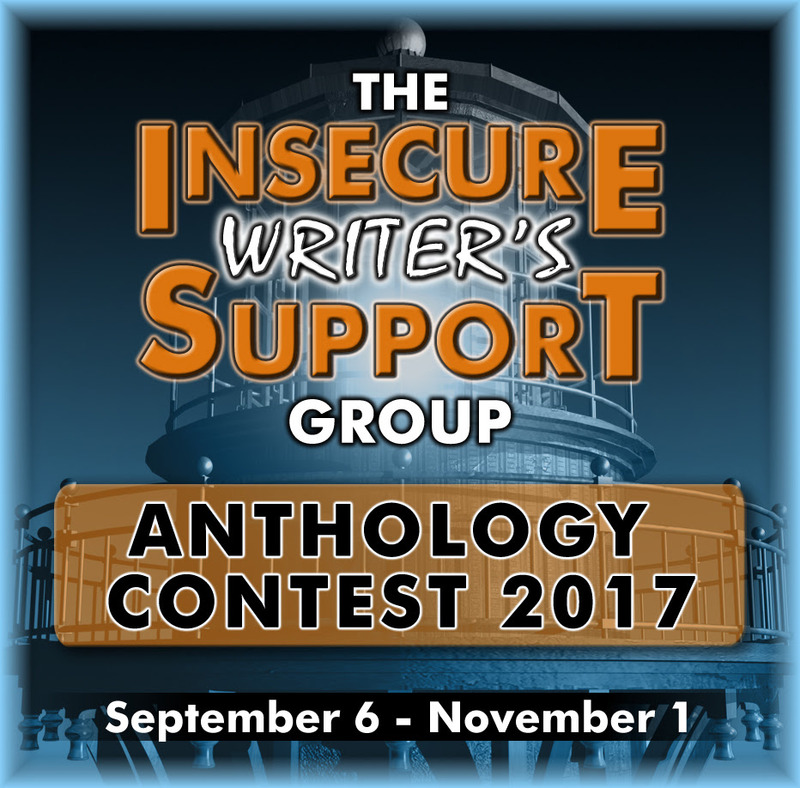 The next anthology contest is here! All details are posted at the IWSG website! Thanks, Diane, hope you too have a great writing September. When I write my children's books I tend to laugh at my own humour, and then worry in case the children don't. However, our reactions to our own work must be a good sign, for the children did laugh, and I'm sure your reader's will share your emotions too. Thanks, Carole. I hope that's the case. Laughing, crying, any emotion means the reader is engaged. I'm glad your loved ones ended up close to you. Now they can stay away during writing time and visit when you're done! If only people could be trained for such things. Happy almost-autumn! LOL, Joey. The little one is back today, so no writing. Some days are better spent cuddling. Congrats on getting the story done in such a short time. Double congrats on being able to write a short. Something I struggle with since I'm in the same word count range as you are. It was a challenge, Meka. Thanks. congrats on the family resettling - i had an unsettling summer too, shouldve written more, wish i had some short stories done - way to go with yours! thanks for stopping by my place and i'd love to guest here in Nov, thanks for offering! Thanks, Tara. Writing short is a challenge for me. Some people find it easy. Would love to have you as a guest here in Nov. Please email me. Congrats on the 50k for NaNo. I've never done it, but admire those who do. I did cry when they left, so did my husband. Fall is the season that seems to shock me back into reality. I hear you, Doreen, on family leaving. The house feels empty, and I (almost) miss the dogs greeting us at the door. It's nice when we can still write despite the chaos. If you can write during chaos, you know you're committed. Bet you find dog hair for years. And extra points for the Airplane reference! Liz, for years our summers were like yours. Despite the chaos, I'm glad we had the summer we did. I'd like those headphones, too, that would cancel out all the regular noise. I struggle to write shorter works, too. Good for you for finishing a 14,000 word story. That's an awesome achievement. I, too, was afraid to write short but forced myself to accept the offer to participate in two anthology books for Zebra back in the day . . . and found them really fun! Never expected that. This from someone who thinks under 100K is a short book! Good for you, Di! Thanks, Nancy. Shorts are fun. I discovered that when I had to write a short story for the Christmas anthology for The Roses of Prose blog. How wonderful that you were able to write that story for the anthology. And the Christmas story too! You definitely deserve a big pat on the back. And how nice that your family is all close by. Sounds like you have lots of fun times to look forward to. Thanks, Julie. Writing during naptime (when I wanted to take a nap, too) helped get the story done. That's awesome you managed to get those stories written, and with TG about! So lovely they live close by. I know my mom wishes her grandbabies all lived closer. Thanks, Christine. Our family hasn't lived close to each since 1996. After college, they went their own way. It's wonderful to have the grandkids close. Congrats on getting all those words down! I still need to learn to squeeze that writing in between stress. So glad to hear that your family will be close by. It's wonderful to be able to see them every now and then. Thanks. Having a deadline was the impetus I needed. I didn't want to let the others down. 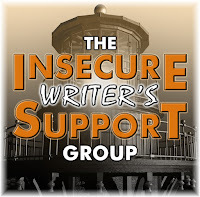 Being able to create a whole story - start to finish - in such a short amount of time, and under unusual circumstances, is a great answer to this month's IWSG question! The fact that you can make yourself cry when reading and rereading your own book just proves that you are a very gifted writer!!! Thank you so much, Liesbet. The good thing about the short story is that it's a spinoff from my PI mystery series. So the setting was familiar. Wow, Diane, talk about persevering! Awesome that you found the groove even in the middle of chaos. Congrats on completing the short stories and on having your family living close by. Way to go with your short story! That's wonderful! Sure, I have short stories lying around. And they are over thirty years old and in desperate need of a total rewrite. I'd say you did good to crank one out this summer. LOL, Diane. I have a lot of "books" lying around that are almost that old. Takes more effort to rewrite one than to start anew. All I've ever written (although not quite finished) are full length stories. I've dabbled with the idea of trying to write a short story for the IWSG anthology, but I've never quite gotten around to it. Maybe this year. Good luck with your short stories. Thanks, Ken. It's surprising what you can do when you have a goal. I hope you try for the anthology. Wow, I'm impressed how much you got done in the midst of chaos.